Trade negotiations with China have been the focus of global equity markets over the past year, but an arguably more important trade battle is brewing with Europe over its auto imports. “If we don’t make the deal, we’ll do the tariffs,” President Trump told reporters Wednesday from the White House, referring to trade negotiations with Europe. And analysts are split on the outcome. “We continue to believe the odds that the U.S. imposes meaningful tariffs on auto imports from the EU and/or Japan are 40%, and that it is more likely that the White House pursues an incremental solution involving either tariffs targeting a subset of auto imports (like electric cars),” wrote Goldman Sachs analysts in a note to clients Thursday. Bank of America Merrill Lynch is more optimistic. They’re expecting plenty of the aforementioned rhetoric but no actual tariffs. “As with China, we think the auto producing countries are highly motivated to find a compromise. 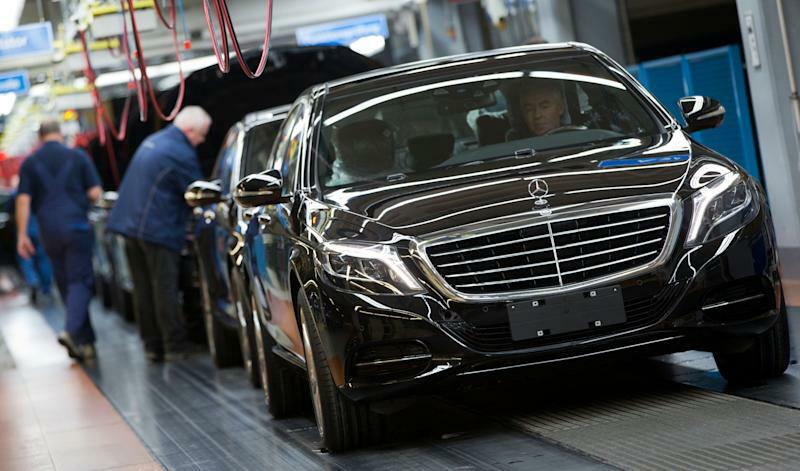 Sustained auto tariffs would be a huge blow to the already-fragile German and Euro Area economies,” the analyst wrote, led by head of global economics Ethan Harris, in a Wednesday note to clients. President Trump has until May to decide if foreign auto imports pose a threat to U.S. national security, after receiving a report days ago from the U.S. Department of Commerce examining this question. The national security threat is the same framework the White House used to determine last year’s steel and aluminum tariffs imposed on Chinese imports. Adding to the complexity of tariffs on European auto imports is this: BMW employs over 8,000 employees in a South Carolina plant that has been in operation for over 20 years. Would tariffs jeopardize those jobs? Tariffs in 2019 may also have a bigger impact on the equity market than the steel and aluminum tariffs in 2018, which were masked somewhat by the market’s tax cuts driven boost, Bank of America said. “Trade war news is now the biggest driver of daily swings in the equity market and confidence for manufacturers and consumers is beginning to drop,” they noted.